Creso Pharma (ASX:CPH) today announced the launch of its cannaQIX® human health product in Switzerland and Liechtenstein. The March launch follows on from CPH’s collaboration with Doetsch Grether AG, one of the top 15 pharma/OTC and consumer care companies in Switzerland. Importantly, cannaQIX® is contributed to CPH’s first revenues of CHF230,000 (A$311,940), along with sales of the company’s animal health product, anibidiol®, following the launch of that product in Switzerland in November last year. Back in December, CPH penned a commercial agreement with Doetsch Grether for the exclusive marketing and distribution of cannaQIX® product in the Swiss market for 10 years, targeting more than 2,000 pharmacies and drug stores in Switzerland and Liechtenstein. The partnership and transpiring launch also set a cornerstone for CPH’s global commercialisation strategy. Here, Switzerland will be used as a regulatory, quality and market reference country. CPH is discussing commercialisation and distribution agreements in key European countries, as well as in Latin America. cannaQIX® is the first standardised nutraceutical containing organic hemp extract with cannabidiol (CBD), vitamins and zinc, aiming to reduce stress and support mental and nervous system functions. CPH has obtained the necessary approvals to market cannaQIX® in Switzerland as a food supplement, compliant with Swiss federal food law. Promisingly, the target addressable market for complementary therapeutic solutions for stress and anxiety in Switzerland is estimated to grow to between CHF$30 to $40 million by 2022 (A$40.7 to A$54.2 million). However, the size of the market share CPH can secure remains to be seen at this stage, so if considering this stock for your portfolio, do your own research and seek professional financial advice. This latest development comes on the heels of a double dose of good news from the fast-moving CPH. Last week, CPH informed the market of its strong progress in both construction of its medicinal cannabis production facility in Nova Scotia, Canada, as well in its proposed Colombian medicinal cannabis acquisition. These developments have put CPH well on track to tap both the rapidly growing Latin American medicinal cannabis market and the thriving multi-billion-dollar Canadian pot market. cannaQIX® targets stress reduction and support of mental and nervous functions. This effect is achieved through its unique synergistic formula, containing standardised full plant hemp extracts with CBD and seed oil, vitamins, zinc, and capsicum. By supplementing the body with cannabinoids, it contributes to a well-balanced endocannabinoid system (ECS) in the body, regulating homeostasis. The product is safe, well-tolerated, non-psychoactive, non-addictive, and sugar-free. The standardised user-friendly strength and formulation allows for precise dosage control, assuring a reliable and stable effect over several days. Moreover, innovative buccal delivery formulation provides good absorption and high bioavailability. The cannaQIX® pastilles work faster and more efficiently than tablets or capsules, with more direct absorption into the body. The proprietary QIX-technology-based delivery system contains capsicum, which accelerates the blood circulation in the mouth, enhancing the buccal, sublingual delivery of the CBD, vitamins and zinc into the bloodstream. 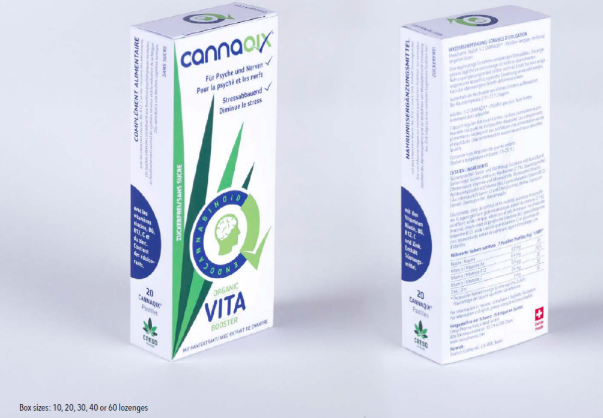 With its pleasant taste, cannaQIX® supports continued use amongst consumers — it therefore differs distinctly from typically bitter hemp oils or extracts. cannaQIX® is produced in Switzerland in a Good Manufacturing Practice (GMP) certified facility by CPH’s partner, Swiss-based food and pharma development company, Domaco, Dr. med Aufdermaur AG (Domaco), to the highest Swiss quality and with a “Swiss made” label. With this product, CPH is offering a safe, effective food supplement with broad access and over-the-counter availability. Creso’s Switzerland leg has reported that it has booked its first revenues totaling CHF230,000 (A$311,940) from the initial sale of cannaQIX® and from sales of its anibidiol® animal health product. anibidiol® works to support the immune and defence systems of companion animals, contributing to balanced behavior. Following the first three months of sales of anibidiol®, CPH’s commercial partnership with Virbac AG Switzerland points to a successful launch and an effective start to the commercial partnership. As well as broad regional media coverage of the product, Virbac AG has also reported positive feedback from veterinaries and pet owners. 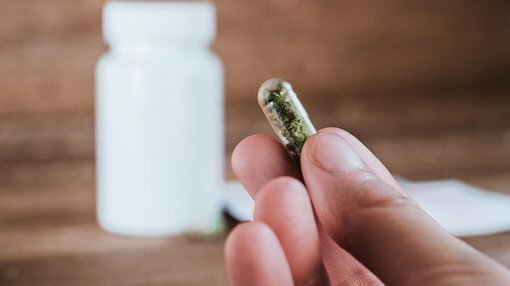 Given the unique formulation and positioning of cannaQIX®, combined with current strong interest in CBD products, especially in relation to their effectiveness in animal and human health, CPH also expects a very successful launch of cannaQIX® in the Swiss market.